Like pages in a book, the rock layers of Black Canyon and Curecanti tell a story of past environments, ancient animals and dynamic processes of change. But unlike a book that we can read in a short time, this geologic book has to be read from a different point of view. Time is thrown out of balance here, and we need to see the land from a very different perspective. The Black Canyon is incredibly deep and sheer, with plunging cliffs, soaring buttresses and a thundering river. 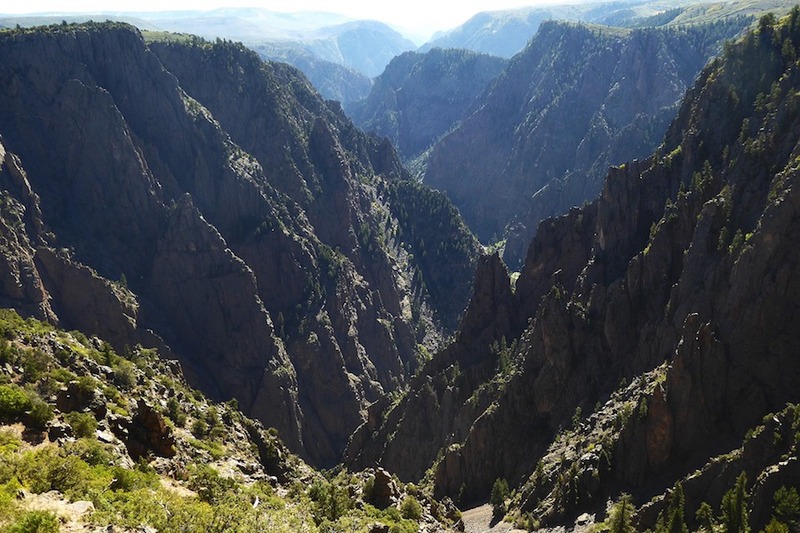 The Black Canyon hosts a variety of ecosystems from pinyon pine, juniper and scrub oak forests at the rim, to the shady and vertical inner canyon walls, and down to the riparian community along the Gunnison River.